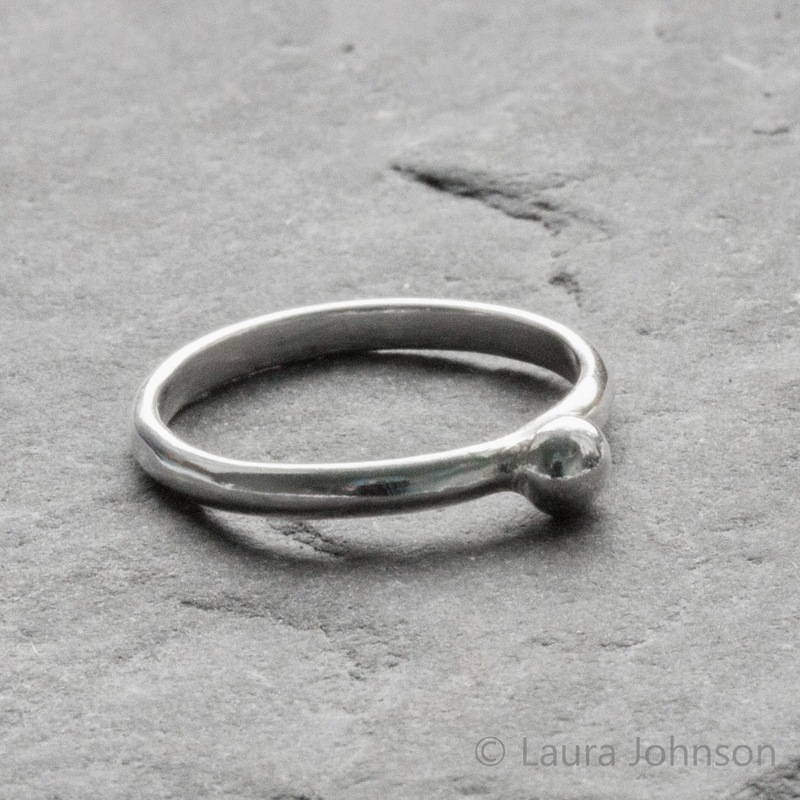 Rings have been stacking up on my workbench ready to be photographed and worn as lovely little stacks of recycled joy! 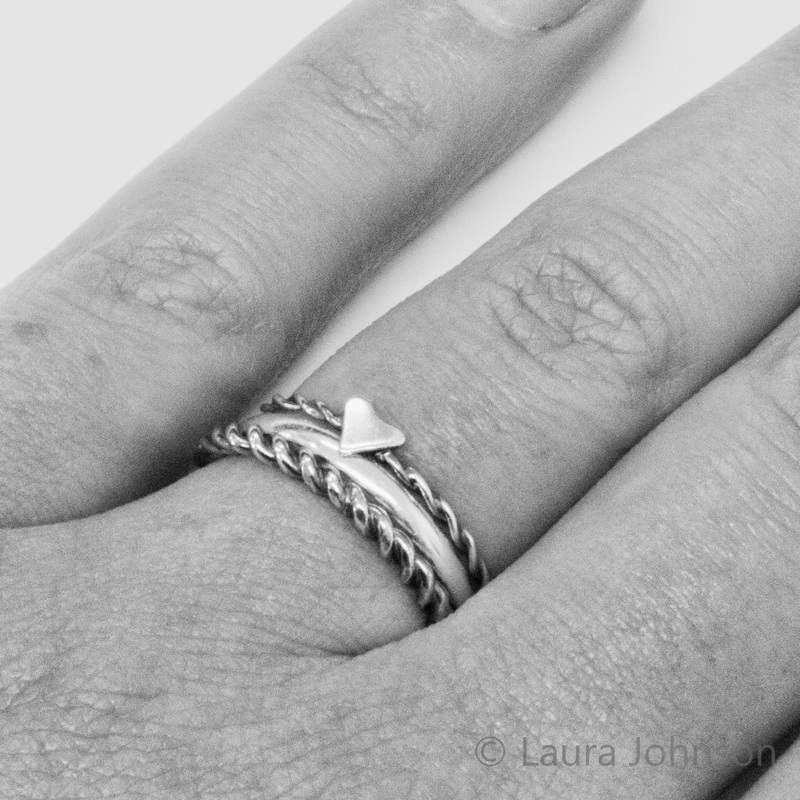 I will be listing the pebble rings in the shop soon; you can see one worn in a stack with a sea glass ring and a hammered silver ring in the middle picture. 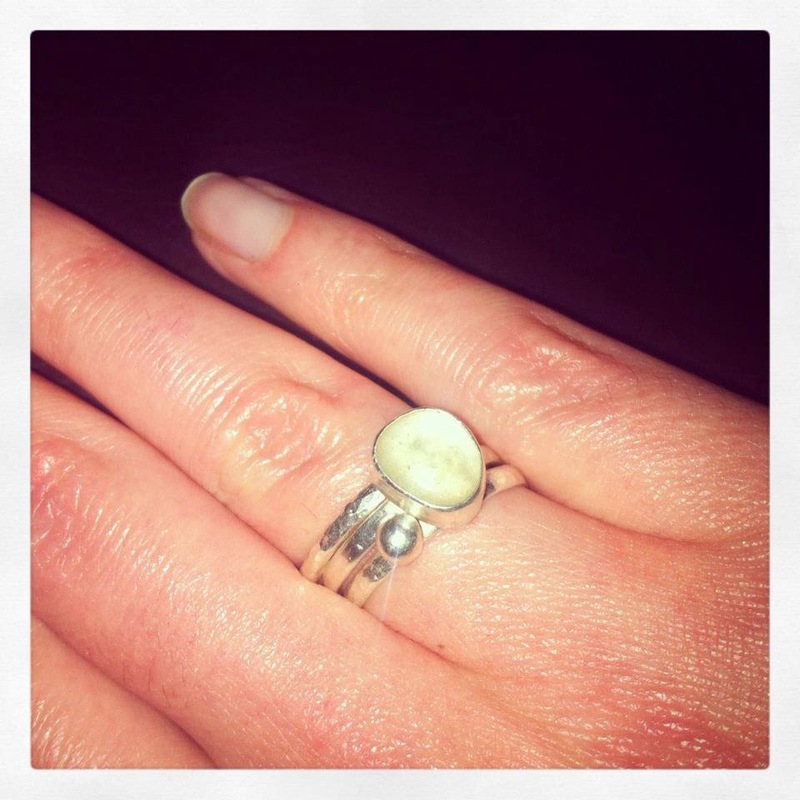 With thanks to my gorgeous sister for sending me the picture of her wearing her Christmas present!